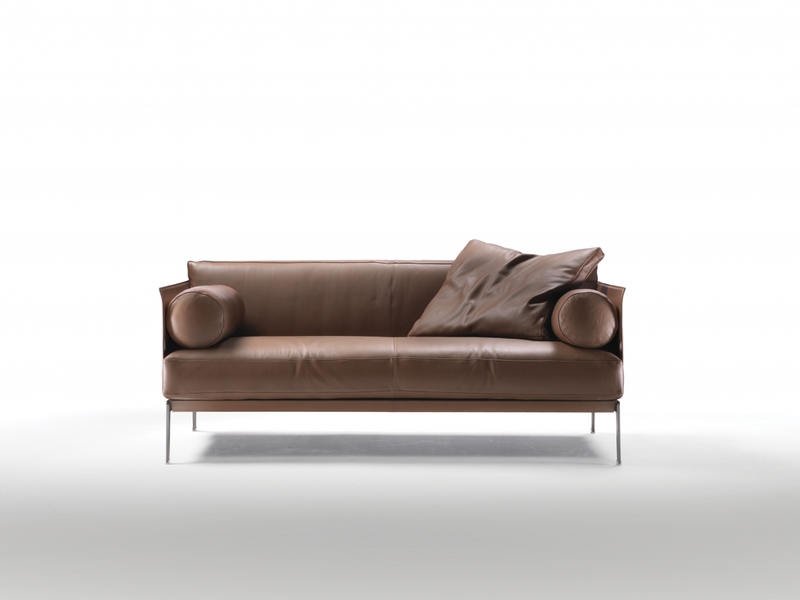 A sofa whose clean, uncluttered lines express refined elegance through the choice of material: luxurious, pliable cowhide. 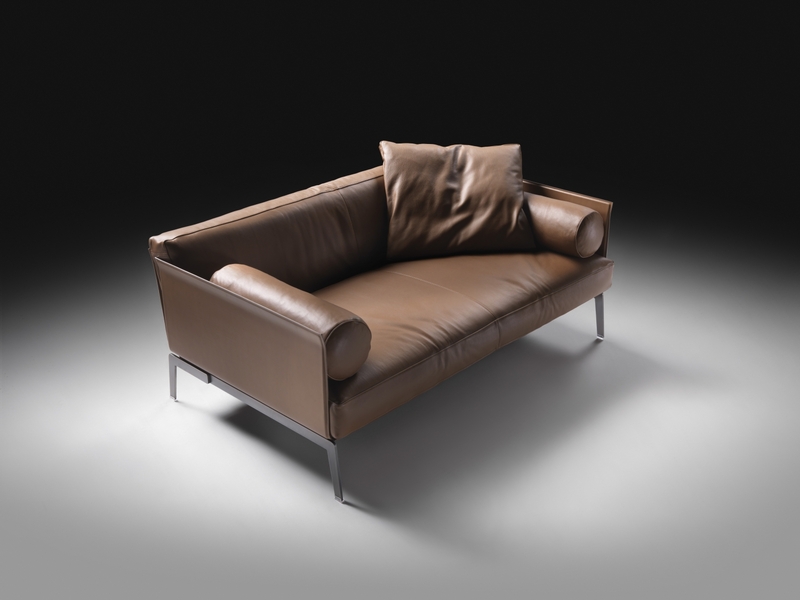 The seat back and armrest structure is in plywood entirely upholstered in cowhide while the elegant base is made of metal with satin, chrome, burnished, black chrome or champagne finish. 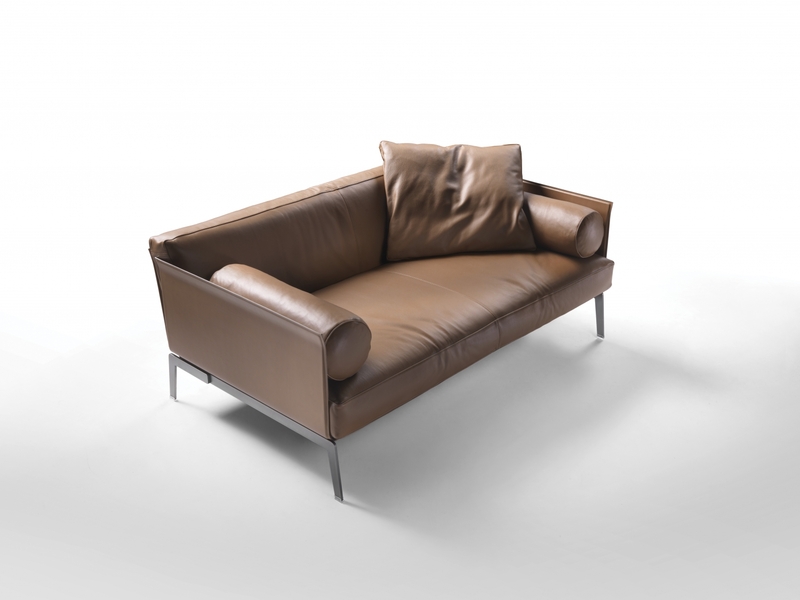 Added comfort comes in the form of an upholstered bolster placed just inside the armrest for comfortable forearm support. 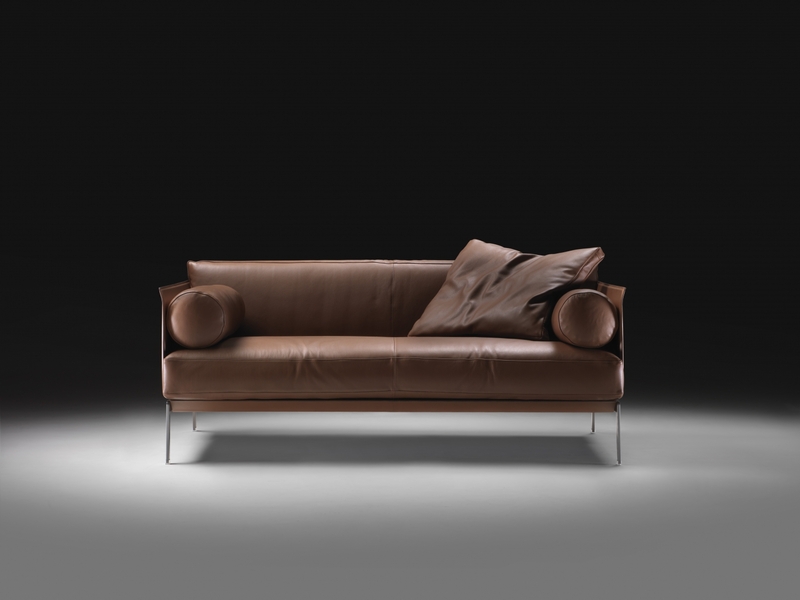 Countless combinations can be achieved by pairing the cowhide structure with the fabrics and leathers from the extensive Flexform collection.